Yesterday, after too long sitting in the garage, I fired up the smoker. Actually, I plugged it in but you get the idea. In my family, on birthdays we usually go out to eat at a nice restaurant of the celebrant's choice. My kids are pretty predictable. They almost always pick one of 2 restaurants. But this year my newly 12 year old requested that I smoke some brisket and ribs. How can you argue with that? I'm just honored that he considers my smoked meat on the level of his favorite restaurants. I had to begin two days in advance. First, I needed to clean out the smoker a little from having sat in the garage for several months. Then I needed to buy two briskets, 4 racks of spare ribs, and spices. On Saturday night, I made the rub. I use a pretty simple recipe involving fresh ground pepper, coarse sea salt, paprika, onion, and garlic. Here's a tip: When you have to grind a lot of pepper, I recommend using a coffee grinder. I used to use a power drill with a pepper grinder attached to the chuck. It worked and it looked manly as hell. But as you can imagine it was a bit awkward to use. 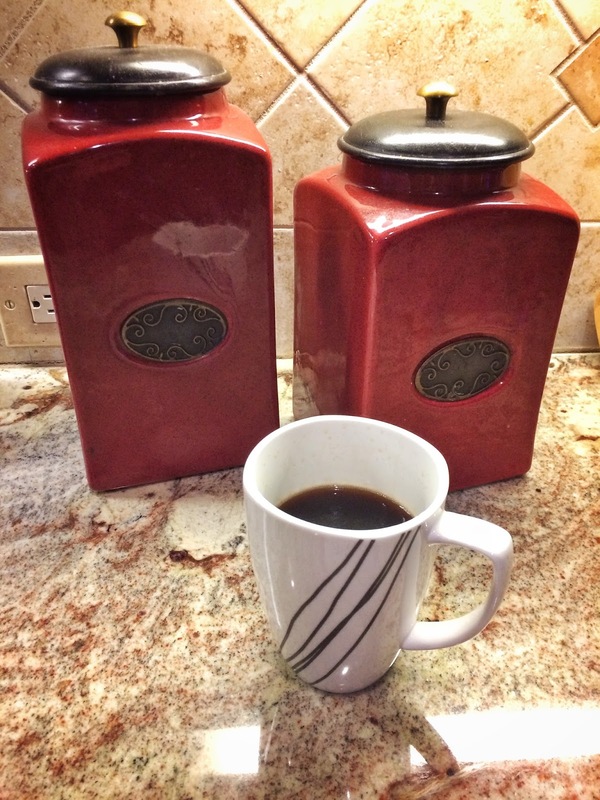 A regular old coffee grinder works faster and gives you great control over the coarseness of the grind. You just have to clean it out really well lest your coffee taste peppery! That night I put the two briskets in a brine. Not a full-on, long brine like you'd do for corned beef; just a short one. See, when I smoke a regular brisket flat (as opposed to a packer cut), I will soak the brisket in a brine (water, sea salt, and brown sugar) overnight to help it maintain moisture through the smoke since the meat cut isn't as fatty. It works really well and makes for a juicy brisket. I got up at 5AM on Sunday to start. First, I started the smoker warming up. While the smoker was getting up to temperature, I prepped the ribs. I rinsed them off and patted them down with paper towels to get rid of excess water. Then I stripped off the membrane that's on the back of the rib racks. You have to remove it because it will prevent the rub from penetrating into the meat! Here's another tip: You need a good grip to peal the membrane off the rack, but it's really slippery and hard to keep hold of. Using a paper towel to grip the membrane will get you the purchase you need to pull it right off. After removing the membrane, I liberally applied my rub to the ribs and worked it in with my hands. Once the ribs were prepped, I did the same to the briskets. I removed them from the brine, patted them down with paper towels, and used the same rub on them. I use even more rub on briskets since they're thicker and cook for longer. I put the meat in the smoker - briskets on the top racks with the fat caps up, ribs on the bottom racks with the meat side up. Then I loaded the tinder tray with wood chips. For this smoke, I added some broken up charcoal to the chips to try to get a nice smoke ring. There's a whole science to it that I won't go into, but the short story is that an electric smoker won't produce the chemistry necessary for the smoke ring. Supposedly adding a little bit of charcoal changes that. The meat was prepped and in the smoker by about 6:20 AM and I finally got a chance to take a break. Meat's in the smoker - coffee time! I smoked the meats naked (the meat, not me) for about 3 hours, adding more wood chips periodically to keep the smoke flowing. Then I pulled the meats from the smoker, double-wrapped them in aluminum foil and put them back in. At that point I dispensed with the wood chips and just cooked the meat, low and slow. A couple more hours for the ribs, and about 6 or 7 more hours for the brisket. 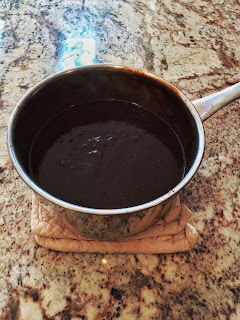 While the meat continued to cook, I made the barbecue sauce. My wife and kids don't use sauce; they prefer smoked meat as-is. I get that - it's darn good on its own - but I really love a good sauce. 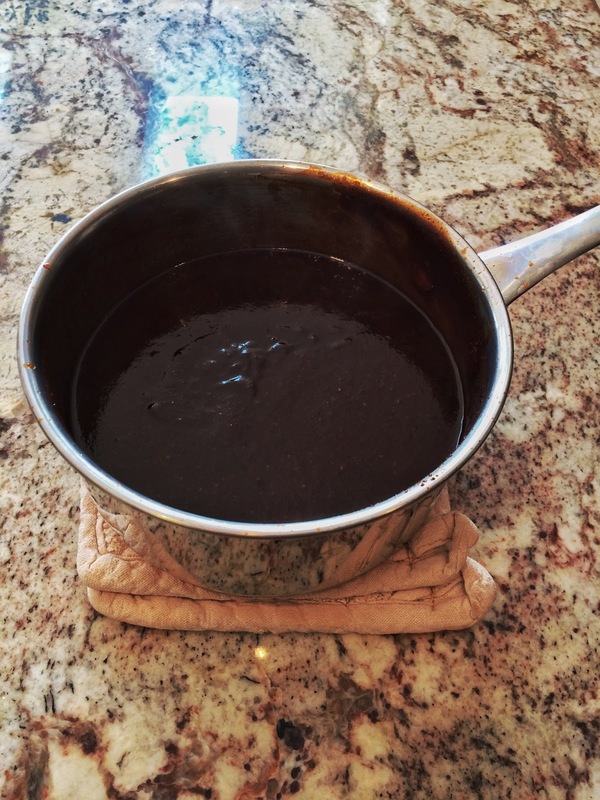 The sauce I make is a variation on the famous espresso barbecue sauce made by Franklin Barbecue in Austin, TX. The recipe is in Aaron Franklin's book, which I highly recommend. I've been tuning the recipe on every smoke, adding different things and changing relative amounts. With this smoke, I think I've really nailed it. Mine variation is less vinegary, a little sweeter and more savory. I think it's better balanced than the original recipe. The brisket and ribs turned out great! The charcoal did put a smoke ring on the ribs, but it didn't on the brisket. I'm not sure it's worth the trouble. Anyway, the birthday boy was very happy and we shared some brisket with our neighbors who were very appreciative. It takes a lot of work to do. 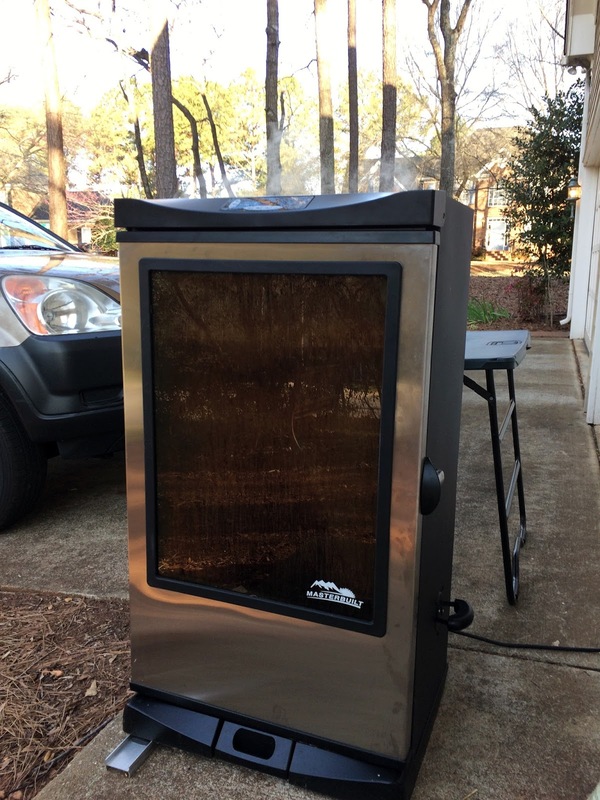 (But since I'm using an electric smoker, it's not nearly as bad as it could be!) It's totally worth it though. It feels great to put a lot of time and effort into a good meal that you share with others.